Our ShurSEAL® Packaging Solution is an automated packaging system that combines our high-performance Shurtape HP Series packaging tape with a PrimeLoc tape applicator to deliver consistent and secure seals, carton after carton. Unsecure seals can cause problems along the supply chain, resulting in production issues, downtime and higher costs due to reworks, in addition to increasing the risk of product damage, contamination and theft caused by cartons popping open. The ShurSEAL Solution is designed to deliver quality, secure seals, while also maximizing packaging line efficiencies to keep them running longer and faster. If you demand packaging equipment that will help you achieve efficiency on the line, as well as produce a quality seal you can rely on…look no further than ShurSEAL. 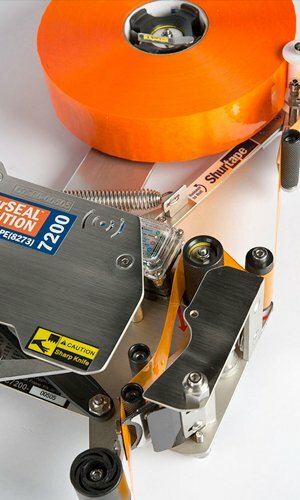 Secure seals are achieved through unique design features such as Good to the Core carton sealing tape, unmatched wipe-down force that allows for full utilization of the tape’s adhesive, and patented Folded-Edge® Technology for reinforced strength and a ready-to-open seal. We are your packaging solutions partner – with a vested interest in your case sealing success. We have developed a program that is designed to address and solve your issues with packaging line downtime and unsecure seals – balancing your retrofit needs with your tape consumption. 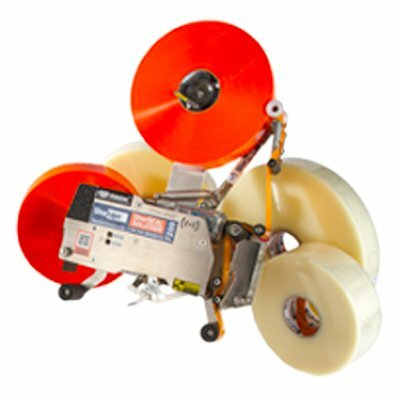 By combining decades of tape application expertise with progressive research and development, PrimeLoc Packaging Inc. brings a complete range of tape applicators and systems with the highest standard of taping quality and performance to the packaging industry.